Bruegger's Bagels - Columbus, Ohio | Tradition you can taste. 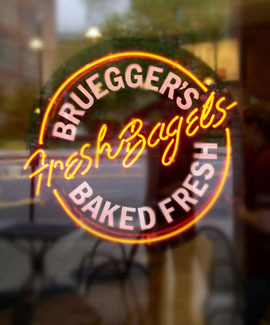 Bruegger's Bagels – Tradition you can taste. 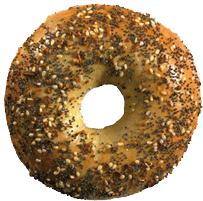 We at Bruegger’s aim to be your premier provider of fresh-baked bagels & bread! Bruegger’s offers the greatest sandwiches, salads, desserts, and exceptional coffees in the cleanest, friendliest, restaurant cafés around. We aim to create a unique, comfortable, and satisfying experience for both our guests and employees. We start by providing a warm and inviting environment where our guests and employees are treated with the highest degree of respect, attention, and service. By applying the highest standards of excellence to the guest experience, we gain completely satisfied customers who will return to our bakeries time and time again—referring new guests and bringing friends along! We promise to contribute back to the communities we all live and work in. We will be an organization of integrity, innovation, and team work that builds and develops people to their fullest potential. We recognize that profitable growth is the key to success! We appreciate you visiting us and promise to work hard to give you a great experience.